My post is perfectly inherent to the Talenthouse remix contest that's connected to the Remix EP2, indeed. Probably you misunderstood after a quick reading. If you read both my posts you'll realize I'm talking about the remix of If...! (I've already posted my track for the Zoolook revisited in the proper thread). 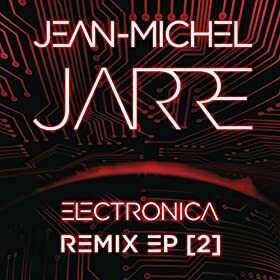 That sounds not as exciting as the first Remix EP, that one had some JMJ-own remixed tracks (Conquistador and Watching You), was hoping Remix EP had those too. Also, the Stardust remix and one If..! remix were on the Electronica USB stick, being advertised as an exclusive remix for the USB stick. Javi Grex and Gatis Girdenis "If.." remixes are both available in their own souncloud accounts. Makes sense, they're both winners of the remix competition, right? But the surprise for me is a remix of "The Train & The River" and remixes of "Suns Have Gone". What happened to the Amazon link? Has the release been postponed? And you can hear some excerpts there.